The Financial Times on the other hand got the real story and reported it. They described how a Christian, a Muslim and a Scientologist worked together and as a combined force collaborated to distribute food and water to those in need and made a positive difference. I do not think I have ever seen a more smug looking pair of bigots in my entire life, pouring on-air scorn toward members of my religion, Scientology, while they sniped at it with the single most discriminatory man in Australia, Bryan Seymour. They should be ashamed. Selfless Scientology Volunteer Ministers devoting their time to helping victims at the Grenfell disaster tragedy were somehow twisted by your team into targets. How your news people can lower themselves to that level of depravity is truly beyond me. The Financial Times, on the other hand, got the real story and reported it. They described how a Christian, a Muslim and a Scientologist worked together and as a combined force collaborated to distribute food and water to those in need. Truth is so much more fascinating than fiction. 50 Scientology volunteers gave their time to help those affected. They helped the distraught, provided shelter, food, water, collected clothes, blankets, toiletries, baby food, nappies and worked with the many other volunteers sorting donated articles. Scientology volunteers found and distributed 1,000 dust masks to police and emergency personnel—a vital commodity as the blaze released asbestos and other toxic material. A Catholic nun, with swollen legs, after praying and listening to crying residents and relatives for three days, came to the Scientology VM tent asking for help. She received a Scientology assist to relieve emotional and physical trauma and left relieved and rejuvenated. Two residents of Grenfell, a mother and her daughter, came to the Scientology tent. The mother had a very painful back and neck and her daughter was distraught. The Volunteer Ministers were able to help both and they left the tent smiling. Many others came to the Scientology Volunteer Minister tent to seek relief or solace, and whatever was needed was provided to them. Amongst many others, the Latimer Community Church volunteered with the Scientology Volunteer Ministers. A lady, made homeless by the fire, came into contact with Volunteer Ministers and after brief discourse left laughing and said it was the first time she had laughed in days. Another lady came to the Volunteer Minister tent with a young child who said she lost two friends in the fire and had not slept properly since then, obsessively watching the news. It was suggested to her that she stop watching the news and instead recall a pleasant moment and talk about it. She did—a wonderful holiday in Cyprus—and ended with a big, broad smile. A police inspector told a Volunteer Minister how much he appreciated Scientologists just being there and talking to people. Another called into LBC Radio and said that the Scientologists had a greater presence than the local council. Scientology Volunteer Ministers worked arm-in-arm with Christians, Sikhs, Muslims and all others working to provide help, including musicians who put life back into the streets with their music. That is the true story of the Scientology Volunteer Minister tent. In the future you should do actual research and factual reporting. 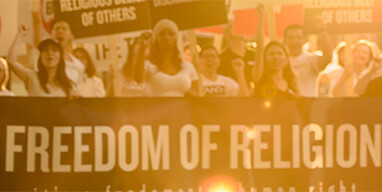 Go to authoritative sites such as www.scientology.org and www.STANDleague.org for your information.